There are, we should say, about a thousand cradles at work, within a mile of the Golden Point, at Ballarat. 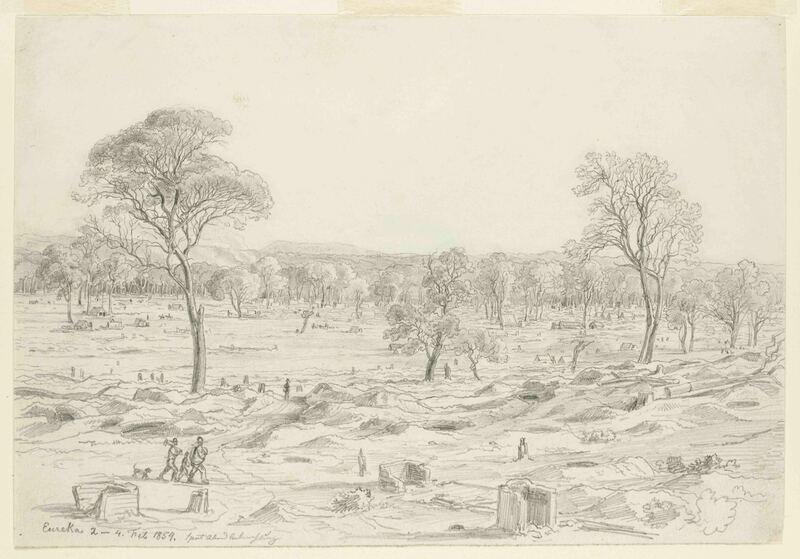 There are about fifty near the Black Hill, about a mile and a half distant, and at the Brown Hill Diggings there are about three or four hundred more; to say nothing of hundreds on the ground not yet set at work. Allowing five for each cradle, the population within a radius of five miles must be a population of about seven thousand men. ‘…tubs, cradles, windlasses and wee-gees… all – all in motion – a perfectly confounding phantasmagoria of impetuous action and mire’. At the fields a digger’s first task was to purchase a miner’s licence and peg out a small ‘claim’ of eight feet square (2.4m). 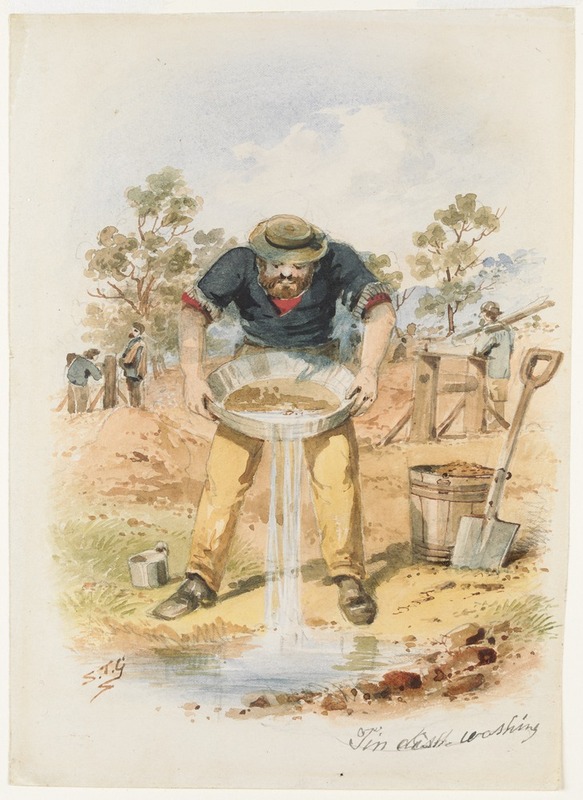 Miners looked for two kinds of gold - alluvial gold, in the surface soil and the gravel and silt of creek beds, and buried gold, in the deep quartz reefs underground. 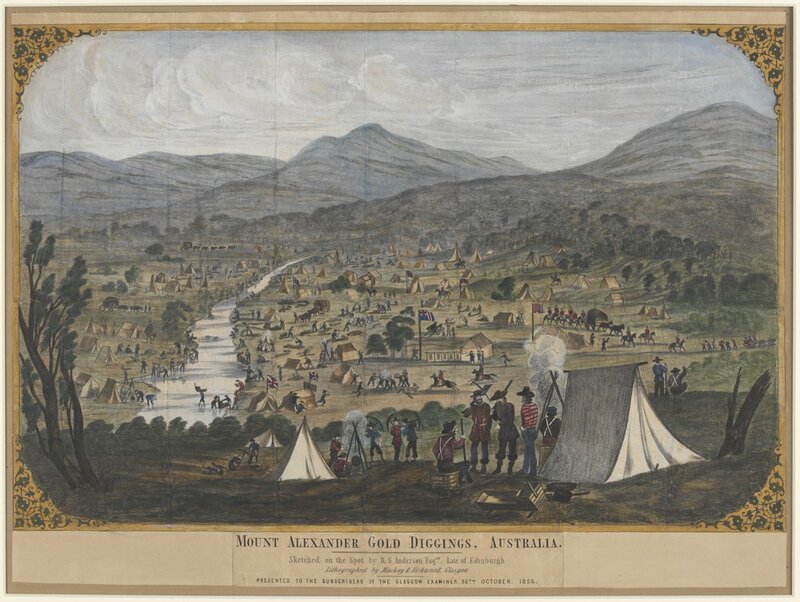 It was the surface or alluvial gold that started the gold rush. For those who got there first, fortunes were literally lying on the ground! Object courtesy Gold Museum Ballarat. Mining shallow alluvial gold was straightforward. 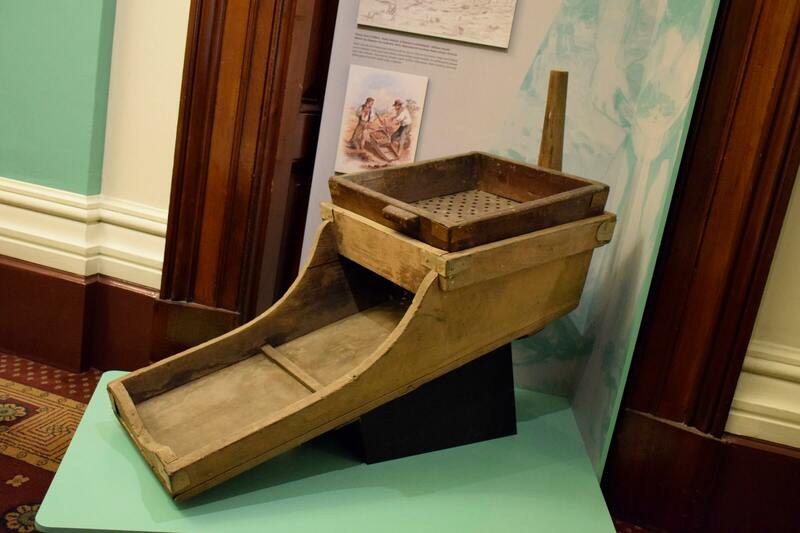 All you needed was a regular water supply, picks and shovels, pans, and a cradle like the one here. The top of the cradle was filled with soil and water, then rocked forcing water and soil through the sieve, leaving any gold behind. It was back-breaking work. 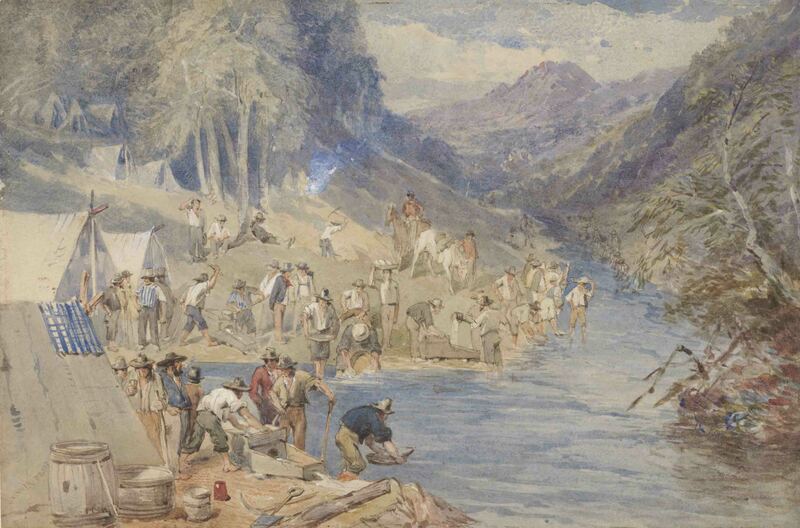 By the late 1850s the shallow alluvial gold was mined out and miners had to dig deeper. They looked for the ancient, buried rivers or ‘deep leads’, the gold contained in quartz reefs deep underground. 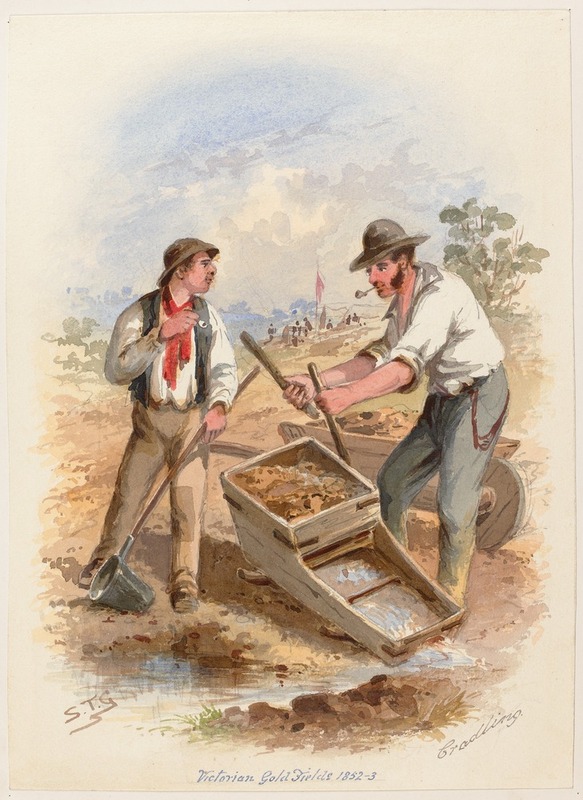 This type of mining required powerful machinery and by the 1860s most men on the Victorian fields were working for wages, employed by mining companies. They alone could command sufficient capital to reach this underground gold. As settlements spread over the interior Aboriginal people were further displaced, their hunting grounds destroyed and their waterways polluted.